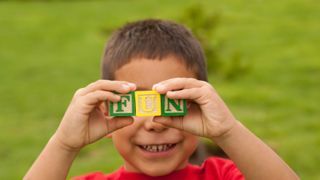 You can have great fun with your child playing phonics games, which are all about playing with the sounds in words. What’s more, many of these games can be played on the move so are ideal for playing in the car or while waiting to be served in a restaurant. By playing these games you are building your child’s phonological awareness, that is his awareness of sounds in words. This is important because as his awareness of sounds increases he will start to master skills which will eventually help him to read and spell. Awareness of Syllables Separating words into syllables will help your child break down longer words into parts to help him read or spell them eg break down 'contact' into 'con' and 'tact'. Rhyming Being able to recognise and generate rhyming words will help your child to read new words by comparing them to known, rhyming words eg use 'could' to help him read 'would'. Isolating Sounds By learning that 'pen' and 'police' start with the same sound, and that 'cat' and 'seat' end with the same sound, your child learns to match spoken sounds to written letters. Blending Sounds When your child learns to blend the three individual sounds /c/ /a/ and /t/ to make 'cat' he will then be able to "sound out" any simple words in this way to read them. Segmenting Sounds When your child learns to break down the word 'chip' into its three individual sounds /ch/ /i/ and /p/ he will then be able to start spelling simple words. Before starting these phonics games your child should be comfortable with letter recognition. 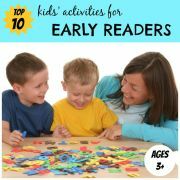 If he needs some practice on learning letters try these other early literacy activities for learning letters first. 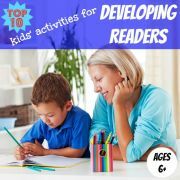 Your child is also sure to enjoy these word-based literacy games which are designed to develop word recognition. The following phonics game will teach your child to break down longer words into parts which will eventually help when reading and spelling long words. Sort by Syllables Gather together several objects which your child knows the name of and put them in a bag. Label three boxes 1, 2 and 3. Ask your child to pick one object at a time from the bag and place it in the box which is labelled with the number of syllables in the object's name. Box 1 should contain all the objects of one syllable (eg cup, pen), Box 2 objects of two syllables (eg pencil, teddy) and Box 3 objects of three syllables (eg umbrella, elephant). You could also play this game using picture cards rather than objects. Cut out pictures of different objects with one, two or three syllables and glue them onto index cards. Ask your child to sort the cards into three piles. These phonics games help your child learn to recognise and generate rhyming words. Point and Rhyme Around the house, or while you are out and about, point to an object and say its name. Then ask your child to think of as many words as he can which rhyme with the name. Let him use nonsense words too - the point is that he gets the hang of rhyming even if the words are made up. Words that work well include hat, coat, book, bed, toy, pot, chair, sink, bell, rug, car, dog. Odd One Out Say three words, two of which rhyme and one which does not eg pen, bin and hen, and ask your child to tell you the two words which rhyme. Guess the Rhyme Think of two words which rhyme. 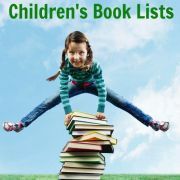 Tell your child one of them and ask him to guess the other, based on your brief description of it. For example, “I am an animal which rhymes with hat. I fly around at night and hang upside down when I sleep. What am I?”. 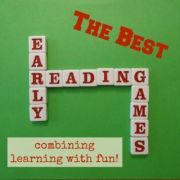 With these phonics games your child learns to isolate the first or last sound from the rest of the word. Guess the Animal Think of an animal and tell your child the first sound of the animal’s name. Ask him to guess which animal you are thinking of eg “I am thinking of an animal beginning with /d/. What is it?”. When he has guessed correctly, ask him to choose a name for the animal which begins with the same sound as the animal’s name eg ”Should the dog’s name be Dingo or Bingo?”. Sort by Sound Put several different objects which all start with one of three different sounds in a big bag. Label the outside of three small boxes with the letters associated with the sounds you have chosen. Ask your child to pick one object at a time from the bag and place it in the box which is labelled with the first sound of the object’s name. You could also play this game using picture cards, as in the Sound Detective game below. Sound Detective Cut out various pictures of objects which your child knows the names of and glue them onto index cards. Try an image search on Google if you want to find a picture of a particular object you know your child will enjoy. Several of the pictures should start with the same sound. Lay the cards on the floor, choose a sound, and pick up all the cards with pictures starting with your chosen sound. Give these cards to your child and tell him that you are thinking of a sound and all these pictures start with that sound. Ask him to be the Sound Detective and work out which sound you are thinking of. Words Beginning With ... Say your child’s name, or ask him to pick a friend's name, and then ask him to tell you all the words which he can think of which begin with the same sound as the name you have chosen. Going on Holiday Choose a sound and then say “I’m going on holiday and I’m going to take a ...” . Follow with the name of an object beginning with your chosen sound. Then tell your child that it is his turn. He should repeat the phrase and add his own object on the end, which must also start with the same sound. Continue to take turns until you run out of objects. Then you can repeat with another sound. Tongue Twisters Ask your child to choose a letter (perhaps the first letter of his or a friend’s name) and then help him make up a silly sentence with lots of words which all start with the same sound eg Bouncy Boris Blew Bubbles By the Bed. These phonics games help your child to learn to blend individual sounds to make a word. Blending Game Think of a three sound word eg fun, cat, red. Say each sound individually, isolating it as much as possible. For example, for /f/ say “fffff” not “ffuh”, otherwise your child might end up saying “fuhun”. Ask your child to guess the word. Stretch the Story Tell your child that you are going to read him a story but you will stretch out some of the words so that he can hear all of the sounds in the word. His job is to put the stretched words back together. 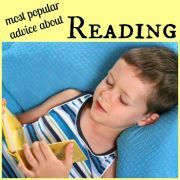 Read your child the story and when you get to an important place, character or object say that word stretched out - saying each of the individual sounds in the word. Pause to allow your child to put the word back together before continuing with the story. 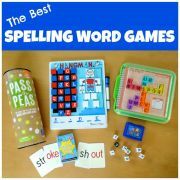 By playing these phonics games your child is practicing breaking down words into their individual sounds. Segmenting Game This is the same as the Blending Game but with you doing the guessing. Ask your child to think of a word and, without telling you the whole word, say each sound individually. You have to guess the word. Word Building Think of a three letter word which is simple to spell and write each letter on a small piece of card - one letter per card. Draw three lines on a separate piece of paper. Tell your child the word and ask him to make the word by arranging the three cards in the right order on the lines of the paper. If he needs help try running your finger along the three lines as you slowly say the word, but do not segment the sounds in the word for him. This phonics game also works particularly well with magnetic letters and a magnetic white board. More Word Building Create cards, as in the Word Building game, of the following letters: a, c, f, m, o, p, s, t. Start by spelling ‘cot’ using three of these letters. Ask your child if he can change one of the letters to make ‘pot’. Then continue to make other words, always changing one letter at a time ‘pat’, ‘fat’, ‘mat’, ‘cat’, ‘sat, ‘sap’, ‘tap’, ‘cap’, ‘map’, ‘mop’, ‘cop’, ‘top’, ‘pop’. This phonics game also works particularly well with magnetic letters and a magnetic white board.